Whether you’re a mum, dad, grandparent, guardian or family friend of a little one – join the nation in letting the kids dress you up to give poverty a serious dressing down. 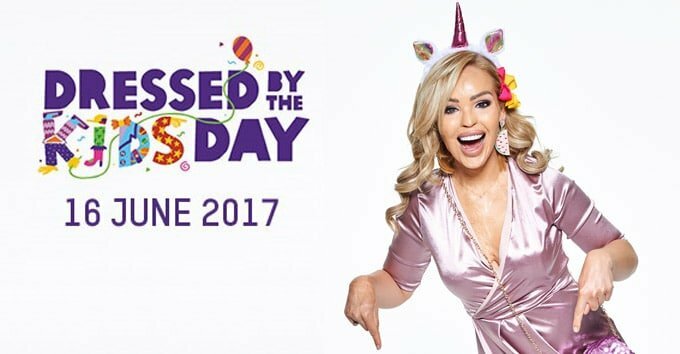 Oxfam invite you to raid your wardrobe and the kids’ dressing-up boxes, then on Friday 16 June get sponsored to wear a crazy clothing combination of the kids’ choice. The more people that get dressed up – the more money will be raised to help the world’s poorest people. So get your friends and family to take part with you and look seriously silly together. Once you’ve registered to take part, Oxfam will send you a fundraising kit – jam-packed full of fun activities for the kids, all the info you need, and a giant badge for you to wear so everyone knows that you’re taking part in Dressed By The Kids Day.